Te Awanga Estate Apartment is situated above our Cellar Door. Experience the fabulous panoramic balcony views of surrounding coastal vineyards, beautiful farmland with Cape Kidnappers in the distance. Cereal, milk, tea, freshly roasted local Hawthorne coffee beans with grinder and plunger provided in the small yet perfectly formed kitchen complete with oven, microwave and fridge (for your delicious Hawkes Bay wines). Brand new double pull out couch option available for extra guest. Bottle of wine on arrival and free wine tasting in our Cellar Door during your stay. Food is available at the Cellar Door, the deck downstairs is a perfect place to relax and enjoy the views with a glass of wine and a plate or two. We are close to the beach, four great restaurants, two other wineries, Cape Kidnappers and its international golf course. There are many good walks and cycle tracks nearby with excellent sea and river fishing, as well as local artisans and artists to visit in Te Awanga/Haumoana area. The Cape View Four Square convenience store is a quick 4 minute drive down the road. The apartment is an excellent base to visit the other attractions in Hawke's Bay- as it is located halfway between Hastings and Napier- the Art Deco capital of the world - although once you settle in to our lovely apartment it may be quite hard to leave! Bottle of wine on arrival and enjoy a complimentary tasting of our wines at our Cellar Door. Or order lunch from our all day grazing menu. This is our second stay and once again very enjoyable - love the touch of a nice bottle of wine left on the bench with some wine glasses! Also always enjoy going downstairs to the winery and talking to the friendly staff about new wines and making sure I don't leave without a nice bottle of chard! Jo is superb in her communications - something very much appreciated. The apartment is always immaculately clean and the view very therapeutic. Very special place that's very affordable. Oh you are so kind!! See you next year. Thanks so much Jo and everyone at the vineyard. Super helpful and friendly, gorgeous setting and just an all round fabulous experience. Te Awanga Coastal Vineyard Apartment is everything we hoped for.... well appointed, comfortable, quiet. The best part though is the location with the apartment. 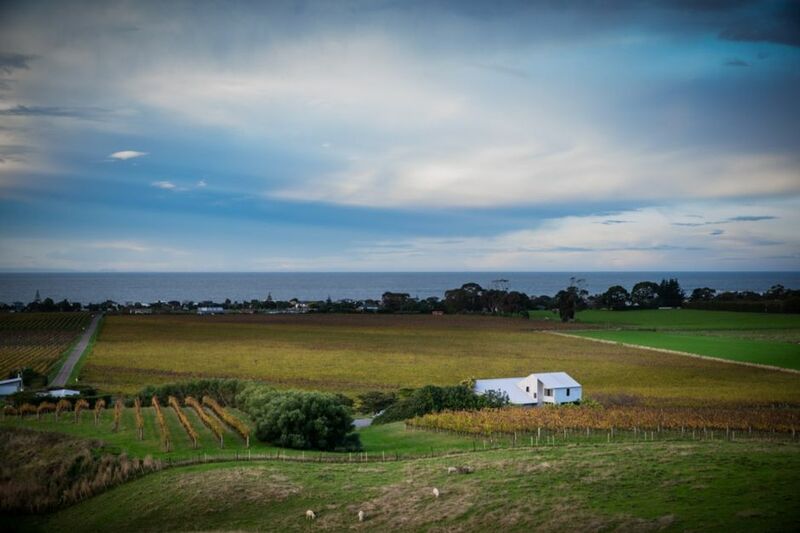 It is set within an expansive vineyard and attached to the cellar door and restaurant. We couldn’t recommend the apartment more highly. Thank you Rod and team for a lovely experience. A truly beautiful spot amongst the vines! Well appointed, lovely and clean, friendly staff at the Cellar Door who were awesome. Still very private even though located upstairs from cellar door.